She's the quiet achiever in the background of almost any softball success story in Queensland. Chances are if there’s a new talent coming through the ranks anywhere in the state, long-time Cairns softball coach Liz Fresser has had her fingerprints all over them. A former state player in her heyday and a mentor at club, association and state level for more than 25 years, Fresser’s contribution to the game has been recognised by Softball Queensland, who have crowned her coach of the year. The award came as a genuine shock to Fresser — particularly since she had no idea she was in contention until halfway through the state body’s presentation night in Brisbane. “I didn’t know until it came on the screen that I’d even been nominated,” she said. “I was a bit overwhelmed, really." 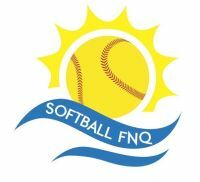 Ask anyone involved with softball in Cairns and they’ll tell you the honour was well overdue. Cairns District Softball Association President Jacqui Brodin was one of the masterminds behind Fresser’s surprise — she described it as the “best-kept secret ever”. “She’s an amazing woman,” Brodin said. 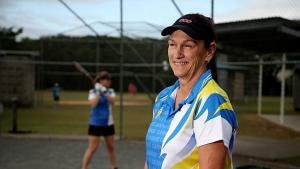 “Softball’s not a huge sport in Cairns but she’s managed to produce, consistently, one or two players in state sides pretty much in every age group, from not much stock." “Pretty much every single player she’s coached that has been selected in a Queensland team, that team has gone on to win the national championships, which is unheard of." “She does a lot with not much, and she does it because she loves it."